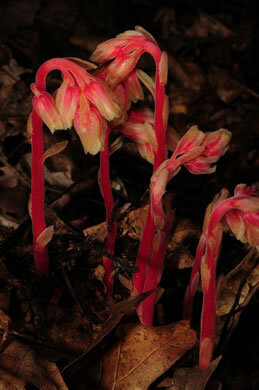 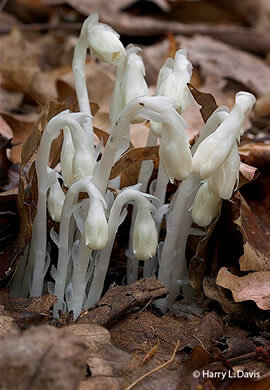 Your search found 9 image(s) of Indian Pipes, Pinesap and Pygmy Pipes. 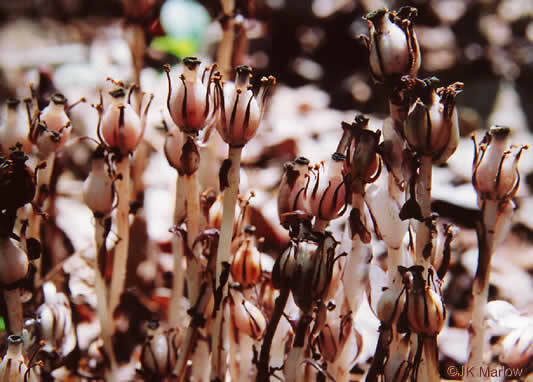 As the fruit matures, the stem straightens and the capsule is erect, per Wild Flowers of NC, 2nd edition. 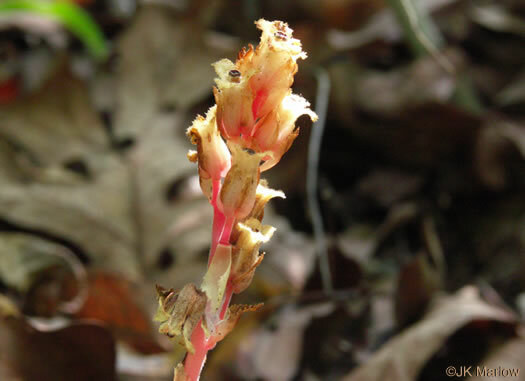 Early season flowering material is usually yellow or tawny, per Vascular Flora of the Carolinas. 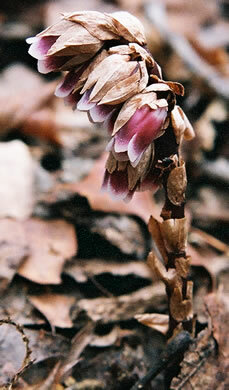 Fruit is an upright capsule, per Wildflowers & Plant Communities of the Southern Appalachian Mountains and Piedmont. 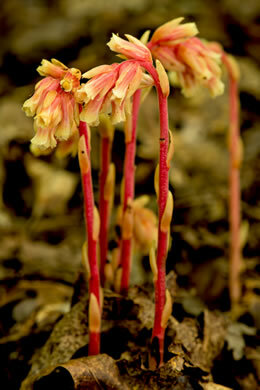 3-10 nodding flowers mostly on one side of the stem, per Wildflowers of Tennessee, the Ohio Valley, and the Southern Appalachians. 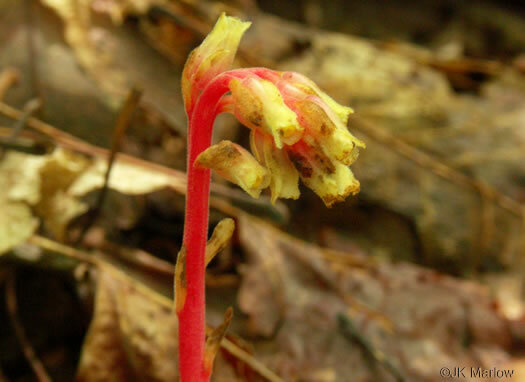 The tiny, clasping, scale-like leaves lack chlorophyll, per Wildflowers & Plant Communities of the Southern Appalachian Mountains and Piedmont. 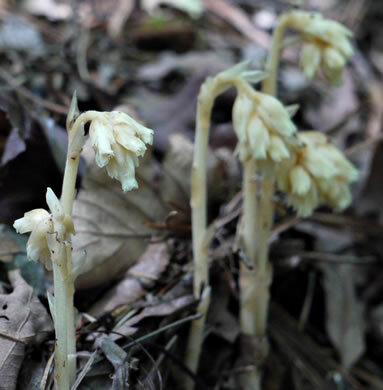 The stems have many light brown overlapping scales in place of leaves, per Wildflowers of Tennessee, the Ohio Valley, and the Southern Appalachians.